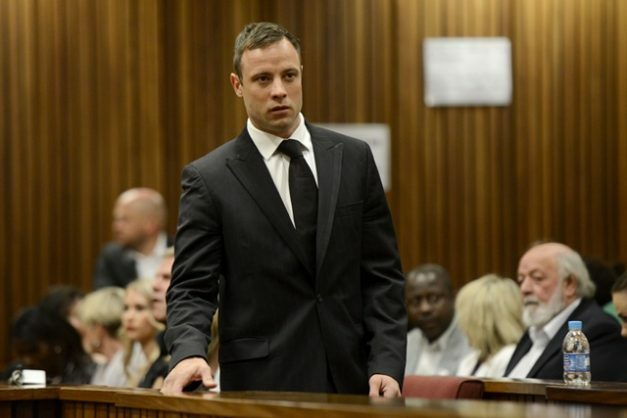 Convicted murderer and former Paralympic athlete Oscar Pistorius. The 2018 Sunday Times Generation Next youth survey reveals some, um, interesting tastes on the the part of the youth of today. ‘The Kids Are Alright’, said rock band The Who way back in 1965, but that was over 60 years ago. In 2018 it’s unclear if they still are, with the results of the annual Sunday Times Generation Next youth survey revealing that they do have strange taste when it comes to certain things. Not all of the results should be questioned – for example, The Citizen was voted the 5th coolest newspaper (while we think we should be in the number 1 spot we’ll take what we can get). Other results are a bit more surprising. Leon Schuster, who is pushing 70 and has produced some films of questionable quality over the years, is young people’s 2nd Coolest Local Screen/TV Star, with only Trevor Noah deemed cooler. More alarming is the fact that Oscar Pistorius cracked the top 10 coolest sportspeople, at number 8. Whether this is because of or in spite of his murder conviction is unclear. The survey, now in its 14th year, sees The Sunday Times teaming up with youth marketing specialists, HDI Youth Marketeers, to poll more than 12 thousand youths from across south Africa in over seventy categories. This year’s survey had 7 019 respondents from ages 8 to 24, meaning that its definition of youth is stricter than the ANC Youth League’s by more than a decade – they consider the cut off point for youth to be age 35. It is meant to provide insight into what SA’s kids, teens and young adults find trendy and aspirational. Financial troubles, maladministration and corruption allegations were not enough to knock SAA off its perch as coolest airline. DStv, who complained earlier in the year that the rise of Netflix could cost the company “thousands of jobs” can also relax a bit – just like last year, they are still young South Africans’ choice for coolest company. Some categories involved things that are not usually considered trendy at all. It may have been the first time those who participated were forced to choose what they felt is the coolest filling station (turns out it’s Engen), the coolest brand of stationary (shout out to Bic) or the coolest tinned food (Koo cracked the nod). Others are helpful in gaining insight into the minds of the youth. Donald Trump and Helen Zille’s favourite social media platform Twitter, for example, is deemed so uncool that it was placed at number 7, two below Google+, a platform with so few users that you’d be forgiven for asking if it still existed. Tsibipians – as devotees of Cassper Nyovest are known – achieved dominance over the Megacy, the term given to AKA’s fan-base. Mufasa (another Nyovest nickname) came above the Super Mega (also known as AKA) in both the Coolest Local Male Celebrity and Coolest Local Music Star category. Neither emerged as winners in those categories, though, with Trevor Noah, Nasty C and Kwesta occupying the top 3 spots in the Coolest Local Male Celebrity list and Nasty C voted Coolest Local Music Star. Trevor Noah had a good year, although whether the man who has made it onto the cover of Time magazine will care about being Coolest Local Screen/TV Star and Coolest Local Male Celebrity according to the Sunday Times Generation Next survey is unclear. Some questionable choices aside, the youth has spoken. The full results are available here. Whether the kids are alright or not is perhaps a matter of taste. Maybe I’m just over the hill.